Tuffy says: Almost Kinfolks is Standing at Stud. Traducciï¿½n espaï¿½ola abajo. An own son of BLUES BEARD!!!!! "Lucky" is just an incredible asset to our program. 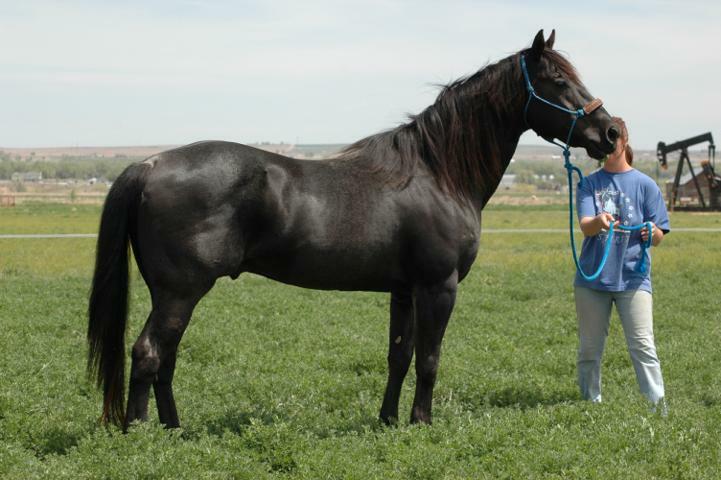 He has been selected as the stallion to breed to the daughters of our other blue roan stallions. He is gentle, calm, correct, level headed, versatile and a blue roan! He has produced NRHA money earners, AQHA point earners as well as NFQHA winners. He is the sire of the high selling ranch prospect at the Houston Fat Stock Show, selling for $12,500.00! We have owned a couple of his sons and were VERY happy how they turned out. I am offering him for sale and he will stand until sold. There are only two other son's of BLUES BEARD that I know that are standing stud. He is sound and is VERY gentle and a REALLY awesome calf horse. He is an earner of several thousand dollars in calf roping earnings! His babies are very sweet and smart. You can't go wrong with a "Lucky" baby! espaï¿½ol: ï¿½Poseer al hijo de la BARBA de los AZUL!!!!! ï¿½Afortunadoï¿½ es justo un activo increï¿½ble a nuestro programa. Lo han seleccionado como el semental criar a las hijas de nuestros otros sementales roan azules. ï¿½ï¿½l estï¿½ apacible, tranquilo, correcto, llano dirigido, versitile y un azul roan! ï¿½l ha producido a adquirentes del dinero de NRHA, adquirentes del punto de AQHA asï¿½ como ganadores de NFQHA. ï¿½ï¿½l es el padre de la alta perspectiva vendedora del rancho en la demostraciï¿½n comï¿½n gorda de Houston, vendiendo para $12.500.00! Hemos poseï¿½do un par de sus hijos y ï¿½ramos MUY felices cï¿½mo resultaron. Lo estoy ofreciendo para la venta y ï¿½l estarï¿½ parado hasta vendido. Hay solamente UN otro hijo de BARBA de los AZUL a que conozco de ï¿½se soy perno prisionero breedable y derecho. ï¿½l es sonido y es MUY apacible y un caballo REALMENTE impresionante del becerro. ï¿½ï¿½l es un adquirente de vario mil dï¿½lares en ganancias! !